What is Concierge Receipt Audit? How does Concierge Receipt Audit work? Concierge Receipt Audit is realtime audit and compliance of receipts submitted by employees and policy users. Concierge checks every receipt for accuracy and compliance, flagging any expenses that seem fishy before expense reports are even submitted for approval. All risky expenses are highlighted for manual review, leaving you with more control over and visibility into employee expenses. 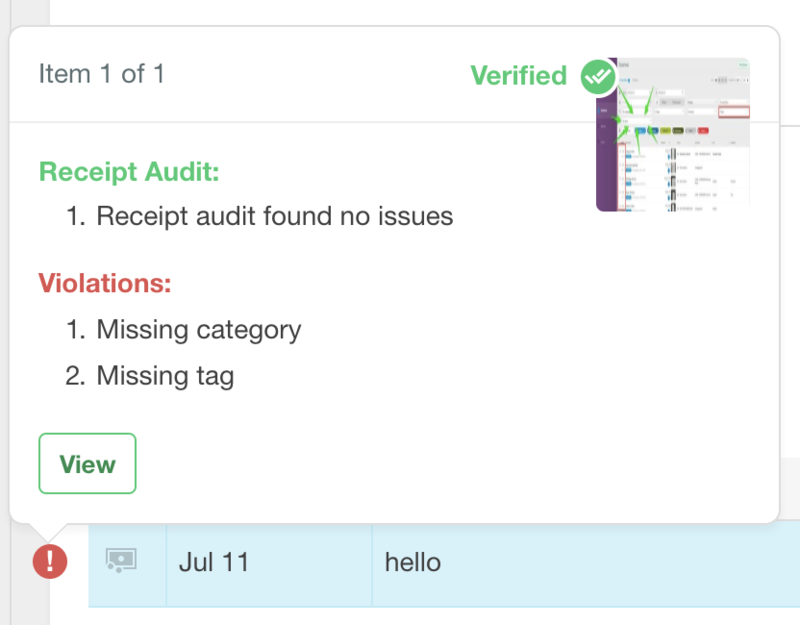 Currently, we are in the process of rolling out Concierge Receipt Audit to our enterprise customers. If you don't see it yet, we hope to get it to you soon! 1. Concierge will SmartScan every receipt to verify the data input by the user matches the merchant, date and amount on the physical receipt. 2. After the report is submitted for approval, Concierge highlights any differences between the SmartScanned values and the employee's chosen input. Concierge Receipt Audit got the merchant/amount/date wrong and my employee was correct, what should I do? Report this to Expensify! We're always looking to make SmartScan more accurate for all of our users and reporting this to us is the best way to help with that! How do I know if Concierge Receipt Audit is enabled for me/my employees? 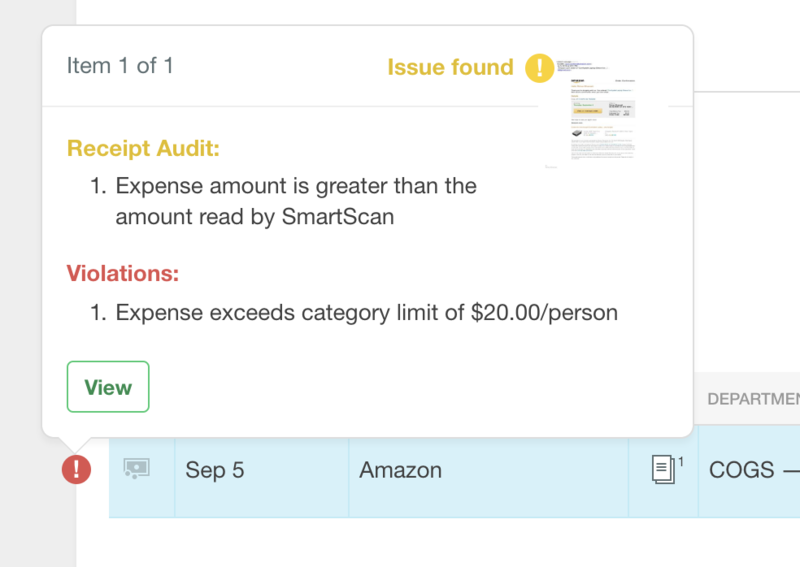 If you navigate to Settings > Your Account > Preferences > SmartScanning, you'll see a banner telling you whether Concierge Receipt Audit is enabled by your Policy Admin. If you don't see this banner, it's not rolled out to you just yet!